Well done to the ladies Miele and Minor cup teams who both won this week. Best of luck to the ladies intermediate, Boyne trophy, central towns, mixed and staffan cup teams who all play this week. Well done so far and keep up your great play! Our Callaway fitting night is fully booked I am pleased to say and I will let you know of any interesting information that comes out of the night. 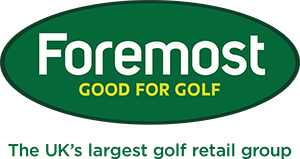 Don't forget that you can now get a fitted Callaway Driver and a FREE hybrid! That's great value so don't miss out if you are in the market for some new equipment. 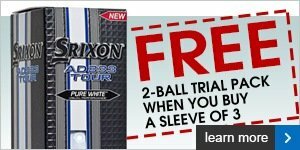 This month we are also running a ball promotion with a FREE sleeve with every doz box purchased on certain brands. 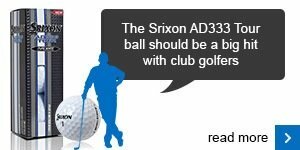 If you purchase a sleeve of Srixon ad333 tour you will also get a FREE 2 ball trial pack. That's 5 golf balls for the price of 3! Have a good golfing week and enjoy reading the rest of the articles. Do you need help reading greens? We're not going to moan about the sun, it's most welcome. That said, there are times when it makes life on the greens tricky. 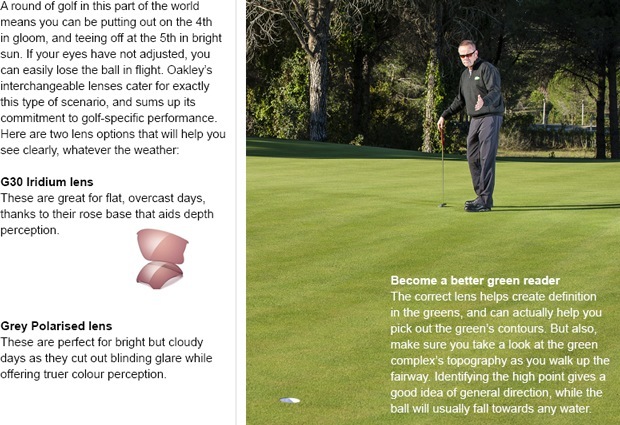 Come and check out our new range of Oakley sunglasses in the pro shop.